Involvement in Resolution: Kindness is a powerful and natural way to express the kindness of God that is foundational to your faith. The support of the local Faith Community is critical to the development of kindness in any community. When RK comes to a city we need churches to get involved by talking about the impact of kindness, by encouraging personal involvement, and adopting volunteer opportunities. If you want to know how to bring Resolution: Kindness to your city, fill out the form below and we will list you as a supporter and contact you about how you can be involved. 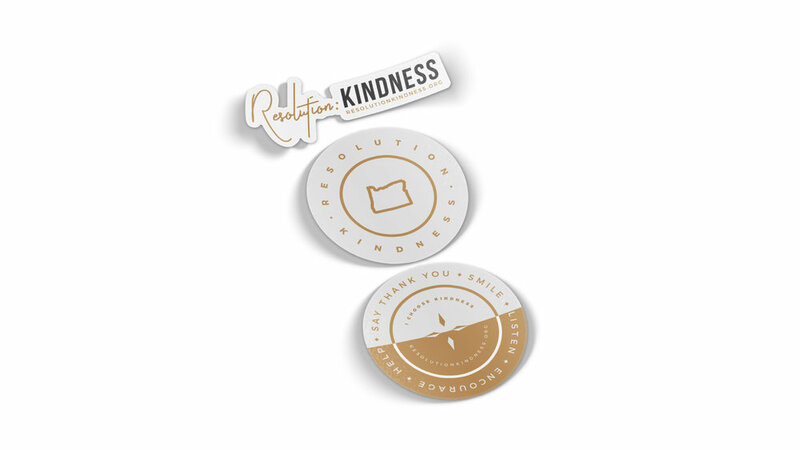 If you want to make Resolution: Kindness a specific church campaign, we can also help you with resources and ideas. We have sermon series available as well as visual support. We also have posters, stickers and yard signs that have been proven to be effective to spread your support for kindness to your community through the people of your church body. Please complete the form below to be listed as a supporter, then follow the link to get the materials!